← Spoiler Alert: Thor Loses! Everybody’s got a sweet spot. Among our many proclivities, we love tokusatsu movies, lime rickeys, and Big Daddy Roth. We also love female superheroes. Good or bad, when one of these things pops up on our radar, we perk up and pay attention to it. Chicks in Capes is a recently released book that hits our sweet spot perfectly. It’s a collection of short stories about female superheroes written by women. Even taking into account our unwavering affection for the Scarlet Witch, Lady Sif, and all the other Kirby Girls, we dig this book unconditionally. At the very least it provides an interesting (and fun) perspective on a male-dominated genre. At the most, it’s a smartly curated anthology that has the potential to shake up the status quo. Each of the stories invariably touches upon boyfriend problems, family relationships, and body image and identity issues. Take that as you wish. Most of the stories are also very sweet and funny. “Diary of a Superchick” is a good example of a story that flaunts its girly nature while maintaining its integrity. Wanda Walker may be obsessed with shoes and her height (she’s short), but that doesn’t mean she’s a simple cipher. She’s a smart cookie who finds a way to combine her youthful exuberance with her newfound superhero career. 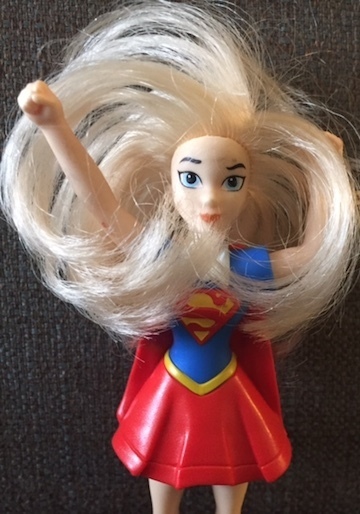 A similar story called “Mischief” by Elaine Lee features another spunky gal who suffers (and later rebounds) from her own superhero learning curve. The two best stories, however, are not very sweet and funny at all. “Nightingale” by Valerie D’Orozio is an excellent story of insanity fueled by tragedy and vengeance. And “The Survivor: Coming of Age” by Gillian Horvath features a protagonist who is cursed by the secrets of lost Eden and the unvarnished clarity of vision created by Josef Mengele. It is, without a doubt, the best superhero story we’ve read this year. Even when Chicks in Capes stumbles, it never falls flat on its face. “Inanna: Witchwoman” by Trina Robbins for example is not a very good story by any means (sorry, Trina! ), but it provides sharp insights into Robbins’ long and winding career, especially her indefatigable fascination with Wonder Woman’s early years. In fact, both “Inanna” and “The Birth of Lady Sekhmet” by K.G. McAbee make it clear how much influence Wonder Woman and Isis (and probably The Bionic Woman) had on all the writers in this collection. While their brothers were in their bedrooms feverishly tracing Jack Kirby drawings, the girls were in the family room watching The Shazam!/Isis Hour. 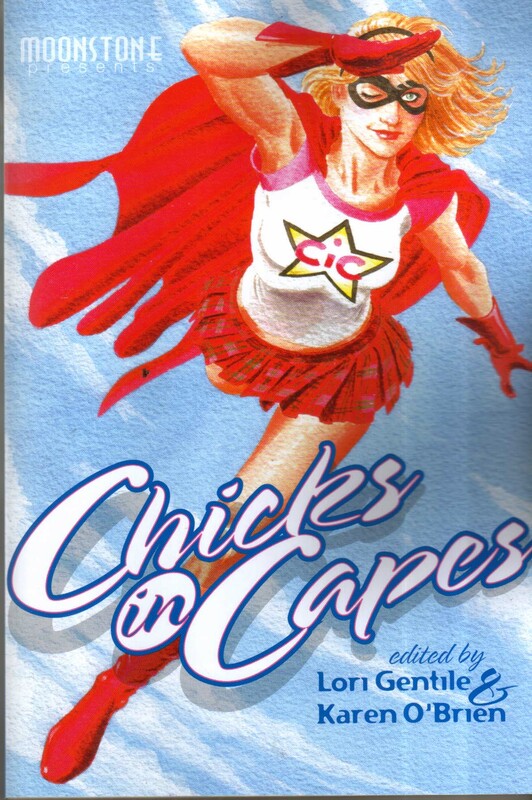 We can only hope that Chicks in Capes provides the same sort of inspiration for our next generation of writers, male and female alike. This entry was posted in Published in 2011, Short Story Collections and tagged Chicks in Capes, Karen O'Brien, Lori Gentile. Bookmark the permalink.